In the most significant garden renewal effort since the Garden’s founding 100 years ago, Brooklyn Botanic Garden is currently engaged in a dramatic and ambitious effort for the future. Seamlessly melding architecture and landscape, the new Brooklyn Botanic Garden Visitor Center is a model of energy-efficient design, including earth-sheltered construction, a geoexchange system for heating and cooling, fritted-glass walls, and a living roof comprised of over 10,000 plants. Designed by Weiss/Manfredi, the Visitor Center aspires to LEED Gold certification. 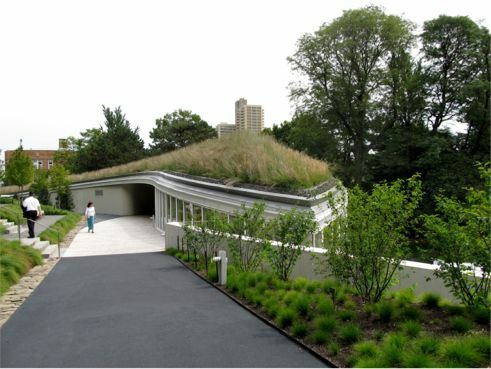 The slope of the roof, pitched from 4 to 27 degrees, is a prominent visual element of the site; the green roof profile and slope stabilization system was designed by Roofmeadow. 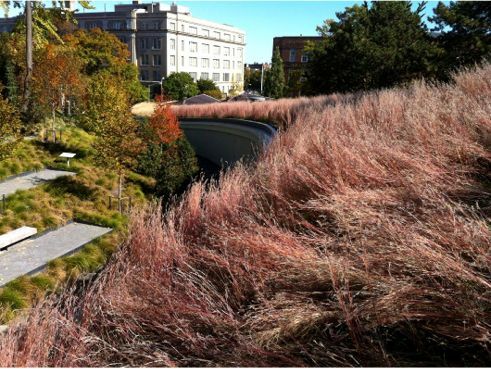 The semi-intensive green roof is planted with a richly textured variety of grasses, flowering perennials and bulbs. New York Green Roofs provided the installation as well as ongoing maintenance services. 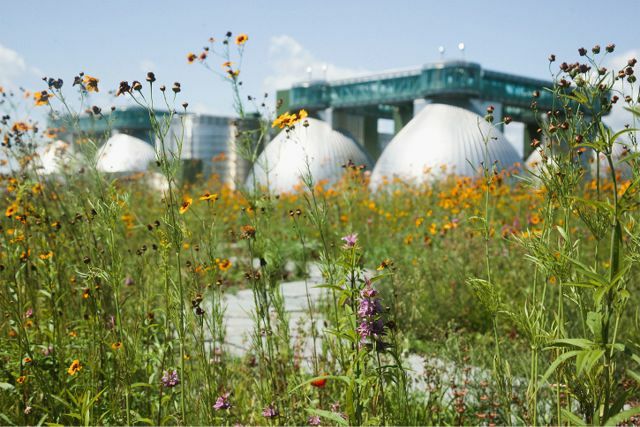 The green roof is expected to harvest almost 200,000 gallons of water each year. We thank Roofmeadow for exhibiting at The Expo Pavilion in the Greenroofs & Walls of the World™ Virtual Summit 2013! 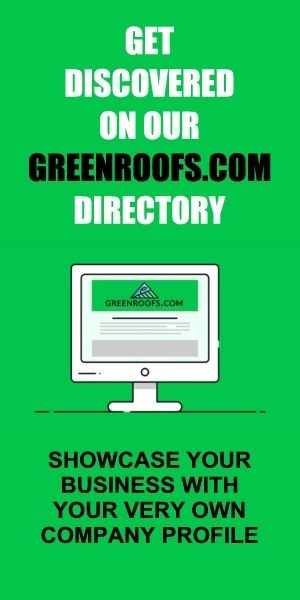 Click here to see more information about this project in The International Greenroof & Greenwall Projects Database. Love the Earth, Plant a Roof!